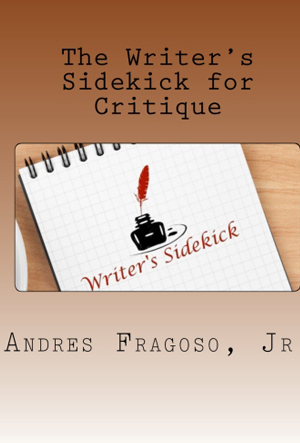 The Writer’s Sidekick for Critique, is designed to help you with critiquing your work. Take this book with you to a critique group or follow one on-line and use it to take summary notes of your fellow writers’ advice and critique. For each chapter you might have more than one person do a critique, you summarize all of their critiques into one detailed note for easy reference. Work your way through each chapter and perfect them. Each chapter section covers plot, theme, pacing, point of view, characters, description in your writing, and settings.